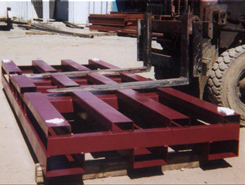 Pallets | International Metal Pallets Co. Thank you for your consideration, and please do not hesitate to contact us with any questions. We ship to all major cities and surrounding areas. Our setup fee is not included.